Red Ice represents opposites: hot and cold, red and blue, north ... See More and south. The Norse creation myth of the void, Ginnungagap, tells how everything in the world came into existence in the gap between fire and ice. Red represents heat, urgency, danger and short-term. Ice represents cold, patience, stability, and long-term. Creation takes place in the zone between these two powerful forces. A perfect balance between these two extremes creates the conditions for life and consequently it's in this environment that we can thrive. The explosive power of the sun and the coldness of space creates the balance. We wouldn't exist if one overpowered the other. Henrik Palmgren was born in Götaland, Sweden, the land of the Goths. He is the founder and Editor-and-Chief of Red Ice, founded in 2003. 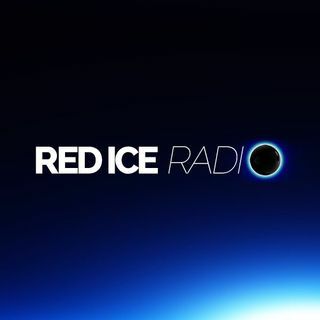 Henrik is most known as the host of Red Ice Radio and produces all the video content on Red Ice, including most of the music, graphics and animations. He is also the co-host of Red Ice Live, including "Weekend Warrior," a live stream show for members. Henrik is most concerned with European heritage, culture and counter acting global internationalists.